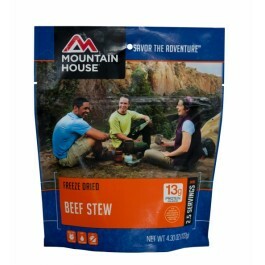 The Mountain House hearty stew with beef is a filling meal that you can enjoy any time. Specifically designed for a long shelf life, this meal will also taste great. When you order this product, it will come in a high quality pouch, which also serves as cooking bag. Purchase as many of these pouches as you’d like to grow your emergency food stockpile, and have this great tasting meal available for you anytime. Hearty beef stew is a filling food that is really perfect for any type of disaster preparation program. It will keep you feeling full for much longer than most other types of foods, and it provides you with a variety of great vitamins, minerals and other important nutrients. Each serving has 12 grams of protein, 150 calories and many other important things. 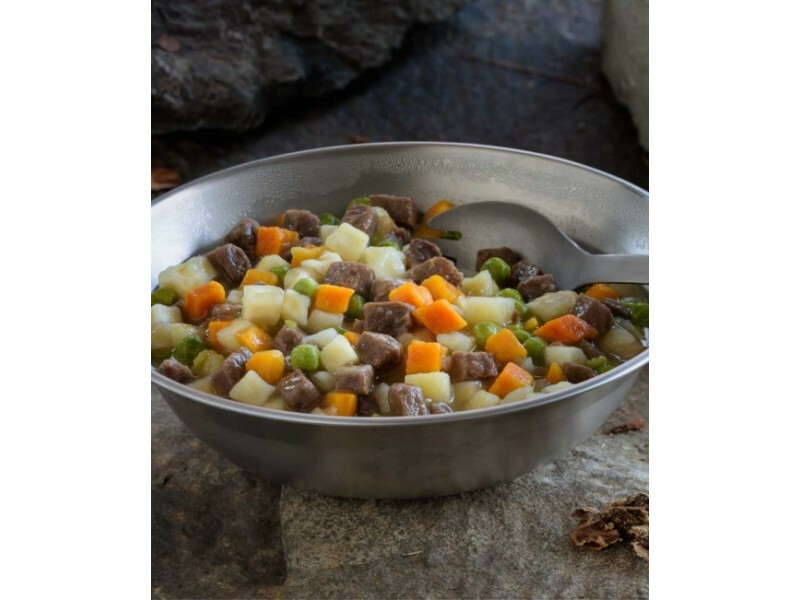 The recipe includes hearty potatoes, vegetables and beef in a great tasting sauce. Each pouch contains 2.5 servings, 1 cup each, of this great food. You can use it as a main course of a full meal, or have it be the meal itself. Everyone should enjoy the rich taste of this beef stew, and there will be plenty to go around. 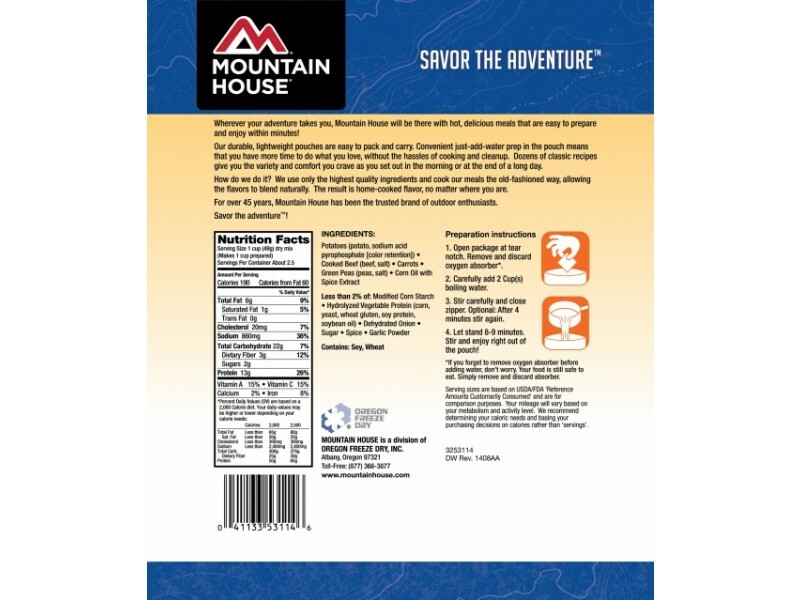 One of the best things about the Mountain House foods is the fact that it will last for so long on the shelf. You can place this into your food stockpile, and leave it there for 10+ years without a problem. When you find that you need to eat this food, just pull it out, open it up and add in the suggested amount of hot water. It will cook right in the pouch in just minutes, and then everyone can enjoy it from there. 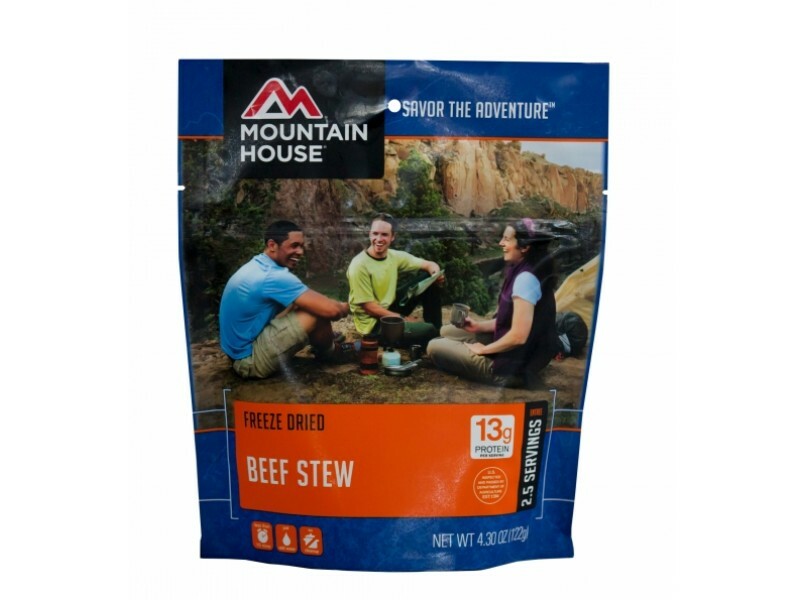 Stock up on this hearty beef stew from Mountain House today. INGREDIENTS: Potatoes, Cooked Beef (beef, salt), Carrots, Peas (peas, salt), Corn Oil, and Contains 2% or less of Modified Corn Starch, Hydrolyzed Vegetable Protein (hydrolyzed corn, torula and brewers yeast, wheat gluten, soy protein), Dehydrated Onions, Sugar, Spices, Spice Extract, Soybean Oil, Garlic Powder. CONTAINS: Wheat, Soy.